You wouldn't face an angry bear with a pocket knife if you had a rifle available, right? Or go fishing in a stream with a stick and a string if there was an amazing fly rod lying on the bank? So why wear work boots that don't have all the style, comfort, and safety ... (see full details) (see specifications) #RBKRB755. You wouldn't face an angry bear with a pocket knife if you had a rifle available, right? Or go fishing in a stream with a stick and a string if there was an amazing fly rod lying on the bank? So why wear work boots that don't have all the style, comfort, and safety that these Reebok Women's RB755 Dark Brown 6 Inch Composite Toe Non-Metallic Oil-Resistant Boots have to offer? We definitely wouldn't. Not when the 6-inch uppers of these dark brown boots are fashioned from full-grain leather. The hide is left natural (well, natural enough), so you get all of the material's softness and flexibility when you wear these slip-resistant boots. Full-grain is naturally weather-resistant, easy to clean, and highly comfortable around your feet. Black accents pop stylishly against the dark brown material of these Reebok boots. Abrasion-resistant nylon mesh material was used inside to create airy, ventilating lining. The mesh releases heat, so your steps stay cooler. Nylon is lightweight and thin, so it won't add any extra bulk to the design of these composite toe boots. You'll walk on soft EVA foam cushioning when you walk in these non-metallic boots. The removable inserts can be taken out and cleaned any time. Sponge rubber heel wedges are built right into the insoles to provide shock-resistance where you want it most. When the heels strike the ground, the sponge rubber heel wedges absorb the impact (and your body doesn't). Dual-density outsoles give your feet a firm, supportive foundation when you wear these brown boots. Lightweight polyurethane was used in the midsole layers to absorb shock. Durable, impact-resistant rubber was used on the bottoms. The two-layer design gives you both softness and support. The heels of these safety toe boots are finished with 90-degree heels, so you get better grip on ladder rungs. The outsoles are secured with direct attach construction to keep the uppers and lowers of these women's boots firmly together. Aircom heel airbags are built into the outsoles to give your steps a core of shock-resistant cushioning. Composite toes complete the 100% non-metallic design of these abrasion-resistant boots. They aren't made with steel, but they are rated to meet ASTM 2413-05 protective footwear standards. Composite is lighter than steel, and it won’t conduct electricity or temperature. Why wear something else, when you can wear Reebok Women's RB755 Dark Brown 6 Inch Composite Toe Non-Metallic ESD Boots? Protect your feet when you work! 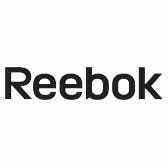 Reebok Boots: Women's RB755 Brown Composite Toe Non-Metallic Work Boots is being added to your cart.